If trail running is to follow the same path (excuse the pun) as fell-walking, or general hiking, then it’s going to need its own dedicated areas. As the sport grows, and more and more members join, the need for a ‘trail running resort’ – a place solely dedicated to the sport, with adequate infrastructure, way-marked signposts and trails for all skill levels, as well as rest-stations, supervised training and even package holidays – grows. Step forward the ‘Trail Resort® launched by French trail runner – and founder of Raidlight trail running equipment – Benoît Laval, who has pioneered the concept in partnership with the village-resort of Saint-Pierre de Chartreuse. Forget Running in the Park, add some Breathtaking Panoramas to your Run! How about Trail Running through the Portes du Soleil, the twelve French and Swiss village-resorts of one of the biggest ski areas in the world have now positioned themselves as the number one new trail running destination for summer 2017. How? By investing in their infrastructure and offering trails that now make up the biggest linked area in Europe; between France and Swiss, on the peaks of Chablais Mountains. Imagine running at altitude where 48 permanent trail paths and 400 kilometers of mapped and way-marked trails initiate you to the trail safely. With chairlifts you’ll get to the best views quicker too. A full map and explanation of the trails can be found here: (http://tracedetrail.fr/fr/portesdusoleil) and a mobile application “Trail Running Porte du Soleil” is available as a free download for Android and OS smartphones at your usual download app stores. 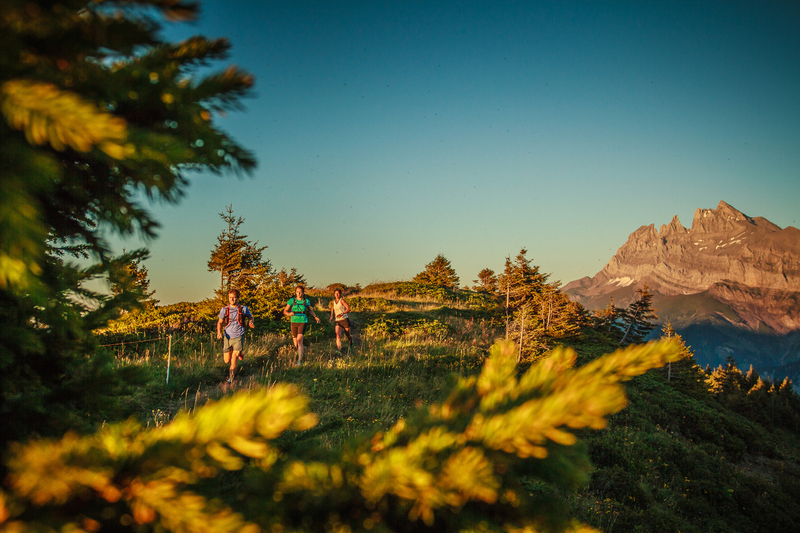 – The resort of Flaine has recently upgraded its trail running offering, now opening 10 routes that vary in difficulty from green to black – and a range of altitudes to choose from, meaning you can run at either 1300-metres or up to 2500-metres in altitude. There’s no better way to see the stunningly beautiful itineraries in the mineral and limestone mountain of ‘the Fiz’. – In the southern French Alps, the resort of Vars resort is in the middle of a boom for trail running, thanks to the success of Vars Mountain Trail, – which includes trails for all levels that have been added to each of the four years it’s been open to the public. This year, for example, the new itinerary into the mix includes a relatively-easy run tour of the four nearby villages – a 4km trail with 182m height gain. 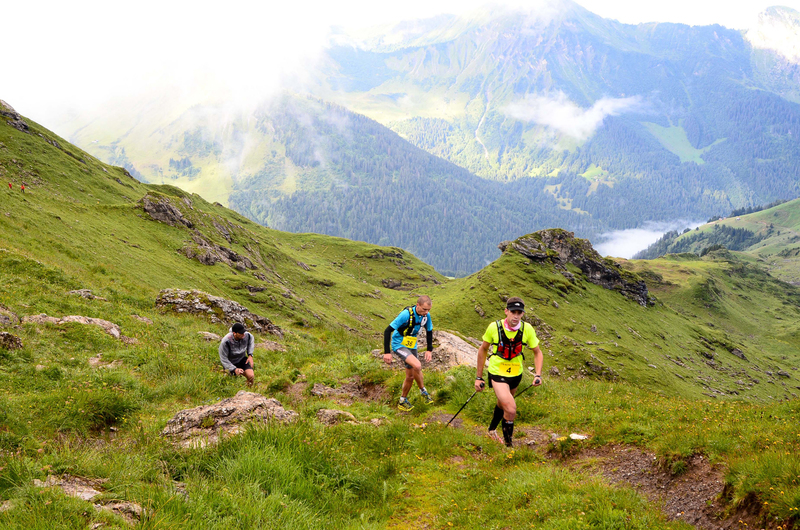 – In the Jura region, Ultra Trail winner Xavier Thevenard has created four routes around the famous Mont d’Or, which total some 90kms of running trails. And with a height gain of 1463-metres it’s the perfect way to build up an appetite for the famous cheers of the region’s highest peak. Rando Easy Trail – A week of coaching to help you improve and develop your running and racing skills. Based at the l’Auberge Nordique*** holiday village in Grand-Bornand, you’ll discover a stunning mountain setting. Prices start at 516,80€/person. Pierra Menta Arêches-Beaufort – From the 30th of July to August 5th, this trail running week is a good introduction to the sport, with equipment tests, sport events, movies, kids’ trails, and appearances from professional athletes. The resort’s trail running areas has been growing since 2013. It features 13 itineraries that cover 180 kilometers), with two tough uphill slopes. Les Saisies – This mountain resort is a great trail running base. Get involved in a discovery trail stage from the 18th to 20th July, or take part in expert training from 25th to 27th of August. Val Thorens – Join Ultra Trail champion Julien Chorier and coach Jean-Pierre Camm from Monday 7th to Saturday 11th of August for a week of workshops that include: the appeal of Nordic walking; preventing falls and strengthening ankles; running well on descents; nutrition and race management. Do you go trail running?